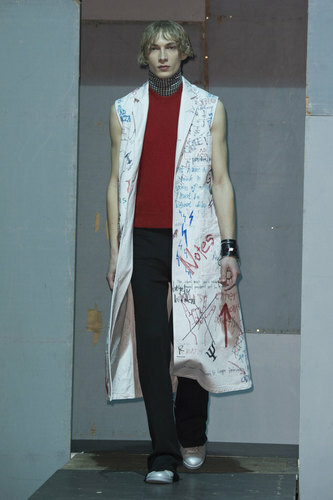 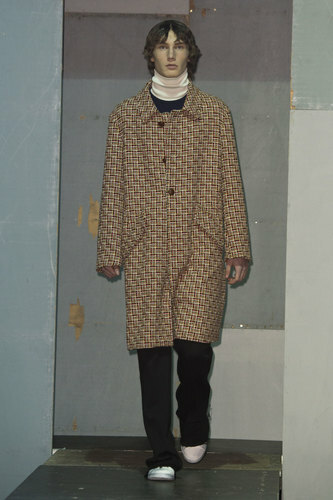 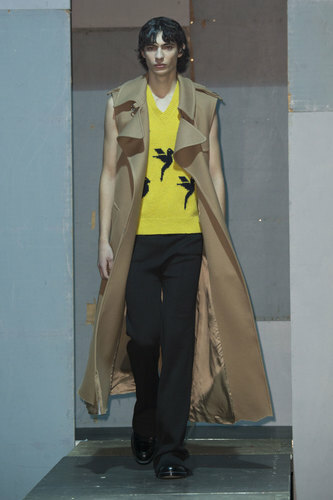 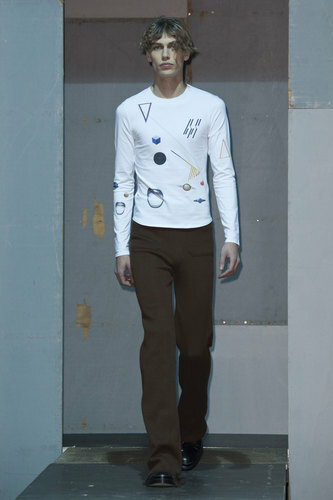 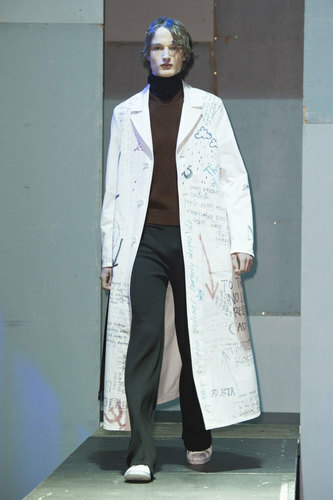 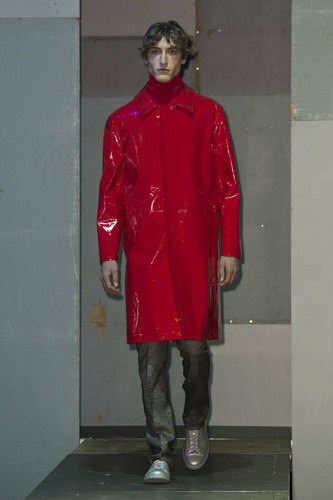 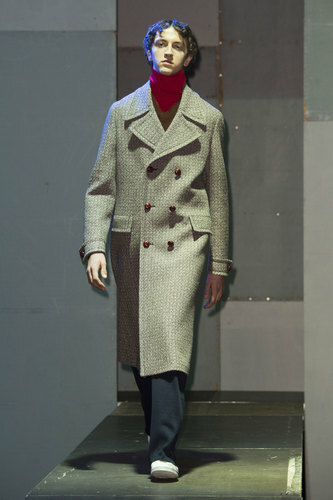 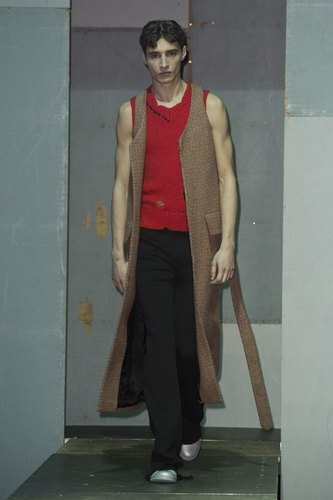 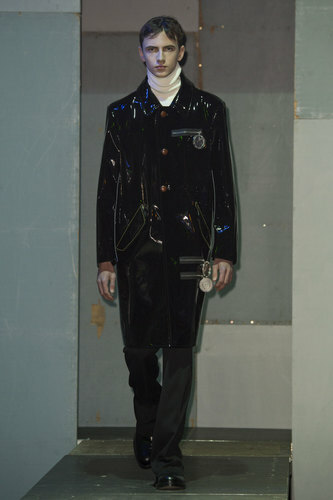 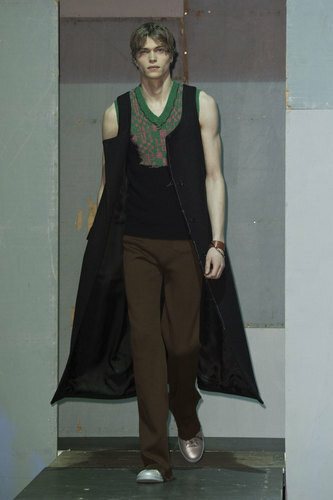 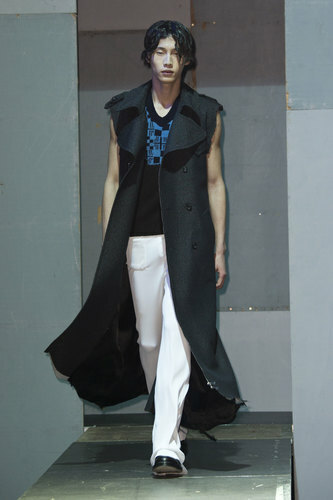 Raf Simons Man Autumn-Winter 2015-16 – On the other end of the spectrum came Raf Simons sci-fi meets art meets retro. 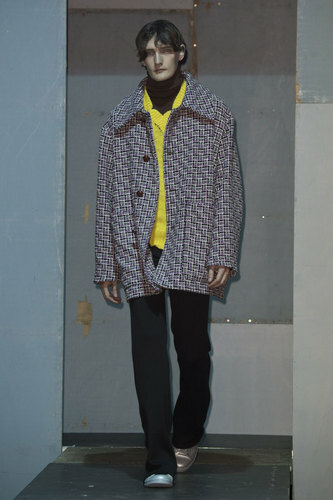 A major eye-catching theme for this season’s line is the use of oversized outerwear and chunky knitwear; either combined in one outfit or separate. 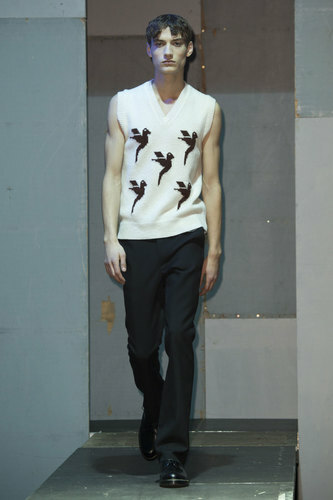 The strict, on-going colours of white, grey and stone keep the stone in a calm, cool manner; whereas the splash of colour in layering and other knitwear adds depth and adds an almost child-like, carefree look. 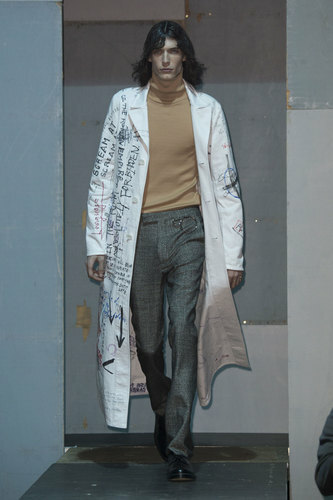 One of the most striking looks appeared in the outer layers; doodles, scribbles and notes covering over sized professor jackets add a touch of reminiscence from school days whilst the cut of the jacket reinforces the masculine figure. 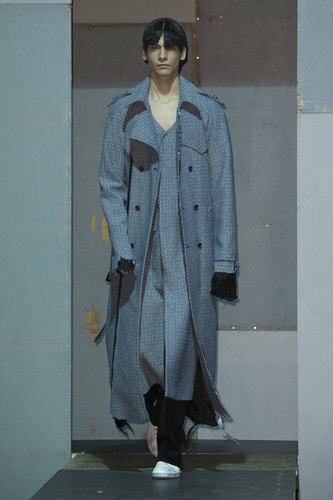 Boxy, square cut jackets add shape to an outfit featuring straight-legged trousers, making it easier to layer the items underneath. 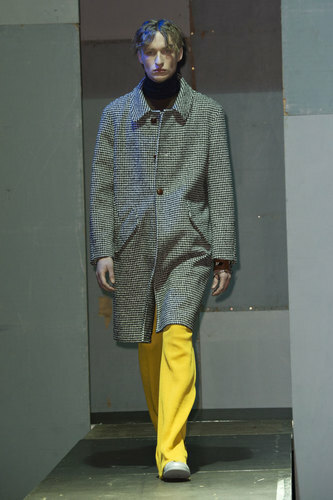 Detailing with patterns and bright colours, such as orange and yellow, define the rest of the outfit by contrasting the simple footwear and oversized trousers.